Most of us dream of having our own restaurant business, yet there is always a fear that keeps us from actually going ahead and achieving it. Among all the anxiety, the biggest hurdle is to get capital and funding for your very own dream restaurant. There are many ways to secure investment for restaurants, the newest one being Fin-tech companies investing in the restaurant business. In this article, we will take you through the different channels of restaurant funding. 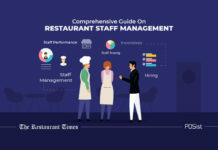 Based on the need, format, and viability, restaurateurs use these methods to get investment for restaurants. The best way to get investment for restaurants or start your own food business is with your own money. However, this should be the case only if you are very clear about the idea, concept, and the format you are planning to start. 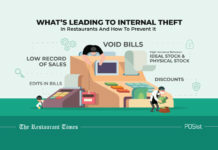 The restaurant business has many risks, and it is advised that anyone who intends to enter food business should not use his/her savings unless the person has enough disposable that does not hinder or cut his/her daily needs and expenses. One can look for borrowing money from family and friends as debt and return them when business starts generating profits. If you plan to enter the industry in next few years, save and invest smartly so that you can fund your dream restaurant by that time. Another great way to fund a restaurant is to go for partnerships. It is always better to go for a partnership in the restaurant business as it not only makes it easier on the investment but also reduces the risks in business by sharing the future profit and loss. If it’s your first restaurant venture, try to look for a partner who already has some experience in the restaurant business. Choosing a partner can be a tricky business. It is important to partner with a like-minded person and someone who shares the same vision. Also, every deal and partnership structure should be in black and white, backed by a formal partnership deed approved by the notary. Ideally, the partners should not be close relatives and best friends, but acquaintances who know each other well to have a formal relationship. However, individual preferences and discretion, for choosing a partner are always there. Bank loans are also considered a great way to get the initial investment for restaurants and working capital for your restaurant business. However, bank loans aren’t easy to get as the bank will need collateral property against the loan. Also, bank loans require a lot of documentation and paperwork. But, if there is a proper business plan, and a suitable collateral, bank loans can be easy to get. On average banks charge 11-13 percent rate of interest on the principal amount of your investment. With the startup wave hitting the country, the restaurant business has been seeing some significant changes in the investment scenario. 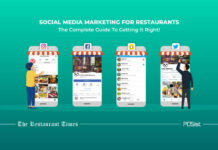 Venture capitalists see the restaurant industry as a new ‘Investment Interest.’ With more and more people eating out and ordering food, investors are beginning to see the huge potential of the industry. Perhaps, it is for this reason, that venture capitalists are investing more in restaurant chains. Venture capitalists usually invest in the concepts and formats which are already successful and more than 5 profitable units. They invest money in the restaurant business only for 5-7 years, and they exit it. In this, the VC acts as an active director in your company and holds you liable for the business performance. You should only seek investment from Venture capitalist when you want to scale and want to replicate your success in other cities. Was this article helpful to you? 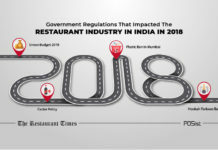 Need to know more about how to get investment for restaurants? Let us know in the comments below! I need investor to build -up restaurant shack and stay cottages the area is 21528 square feet. This located at favorite destination of all Nationals visiting here in Goa – India at Sangolda – Saligaon. Located 12 kms from from Panjim the capital of Goa. The property is in Sangolda-Saligaon Goa near Bardez. Bardez which is known for Churches, Portuguese mansions and coconut grooves in Goa. The plot property is adjecent to NH 66 ( Mumbai- Kanyakumari). Anjuna beach, calangute beach, Sinquerium beach are located within a streach of 5- 10 km from the location. as Hotels n resorts are major indusrtry in Goa the area is surrounded by good number of hotels n resorts like Surya Sangolda, Goa club Estadia, Richmond park resort, and many more to list. commercial places like Mapusa market, saturday night market, Inox porvorim are located nearby. Nearest airport Dabolim is at about 30 kms & Railway Station Thivim is about 12 km from the location. the above offer is on profit sharing business I don’t have money to invest except the above plot size on lease renewable 10 + 10 years. Kindly advise if this is possible. + 91 9158 988 999. I am Datta Kulkarni from Nerul Navi Mumbai . I need a partner in my venture .Partner to have hands on experience in managing QSR ( preferrebly burger and Pizza) .the entire concept can be discussed with interested parties after initial discussion and understanding . Please call me on my cell 8356935045 if you are interested . Procuring investment for the restaurant is the first step towards ensuring you have sufficient funds. Thank you for the article it is very informative. Owning a restaurant is undoubtedly a viable business idea. After all, food is an essential commodity. Moreover, consumers are always ready to eat out and sample brilliant delicacies. However, starting a restaurant is expensive, and raising the much-needed capital often daunts many would-be restaurant owners. Great work Restaurant Times. Good Read. Getting a loan from the bank for opening a restaurant is tedious. These days VCs and angel investors and ready to fund restaurant startups. Fin tech companies also give loans.